Pick up your copy to add tremendous value to your life today! 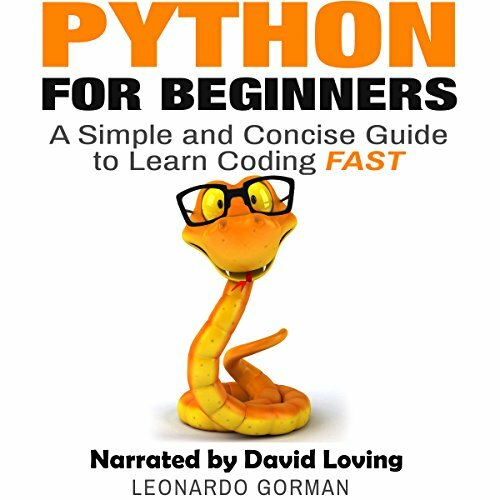 The way to learn python is here. I really want to learn coding so I'm looking for a guide that can help me. I'm lucky because I bought this audible. I learned a lot, it taught me what coding is, how it can help me, and above all how to use it. I bought this audible for me to understand coding. In just a week I learned coding using this book. The guides are so easy that's why I did not get confused. Before, I only want is to know what is python and coding but because of this book I learned how. How to do it fast or instantly using this guide. The guides are so easy because it is for beginners like me. I liked what I learned on this audible. Amazing.